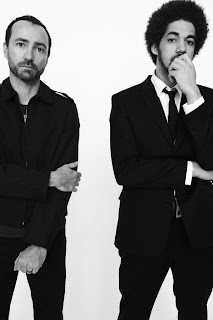 I have got to admit, I'm really feeling the debut single from Broken Bells - a new band featuring Danger Mouse (AKA Brian Burton) and The Shins' frontman James Mercer. 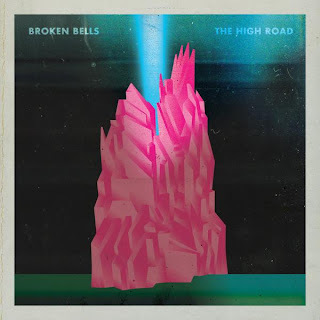 "The High Road" is now available for download on iTunes (it came out December 22nd). It's really got a nice mellow feel to it which sort of suits my mood these days. It definitely makes me excited for the band's self-titled debut album, due out March 9th. Pre-order the album in either the standard version or the deluxe version right now on Sony Music Digital. If that's not enough to whet your appetite, a new 7" vinyl featuring "The High Road" and "An Easy Life" (Instrumental) will be available at select independent record shops here in the U.S. on January 19th. Every purchase also includes a free MP3 download of the two tracks. So cool! Go to RecordStoreDay.com to locate a store near you.